This month Dr. Oz had a segment on his show discussing IV Vitamin Therapy (aka Myer’s Cocktail), an innovative therapy which I emphatically provide in my practice. This therapy provides high dose vitamins, minerals, and nutrients directly to the bloodstream, far surpassing levels that would be achievable via oral supplementation. I use this treatment for a variety of ailments, from immune boosting and the flu/cold, to chronic fatigue, gastrointestinal issues, arthritis, neurological conditions, migraines, detoxification, blood pressure, as well as for antioxidant and anti-aging benefits …. There are so many diseases and symptoms that benefit from this therapy. It is like getting a supercharge of vitality! Although Dr. Oz presented a discussion about one particular formula of intravenous nutrients, called the Myer’s Cocktail, there is a great degree of individualization in preparing an IV treatment for a particular patient. In my practice, I put together unique formulations of nutrients and vitamins customized for each patient depending on what their unique needs are. What makes this therapy so effective is that as a doctor, I am able to deliver very high levels of natural substances, including amino acids, vitamin C, minerals, anti-oxidants, even some homeopathics, so that these substances can have maximal effectiveness in healing the body and restoring balance. Once we are ill, the human body requires an even higher level of nutrients to repair damage and restore health. When the body is sick, each cell has a higher nutrient requirement. The body utilizes nutrients at a faster rate than can often be absorbed via the gastrointestinal system. This may be the case in an individual with decent GI function, but even more so with those that have any baseline GI compromise. What ensues is a catch 22. The body needs the nutrients to repair itself, but the body needs to repair itself (GI function) to absorb the nutrients! When nutrients are given intravenously, the digestive system is bypassed and these much needed nutrients are delivered directly into the cells. Each cell gets to bath in a nutrient dense solution, so that these vitamins are easily accessible, in the most bio-available form, allowing the greatest potential for healing and ENERGY. Inside each cell is the energy producing powerhouses, called the mitochondria, which especially benefit from influxes of the vitamins and minerals which are required to produce intracellular energy. This concept of “kick starting” the energy production in the cells is especially valuable in treating patients with fatigue and impaired energy…. Something that most of us can use! I am very pleased that Dr. Oz brought attention to this wonderful natural therapy. He mentions that so many celebrities are receiving these treatments, people like Madonna, Simon Cowel, Rihanna, etc. However this treatment is available to all people, not just the rich and famous! And while this therapy is a wonderful means of maintaining health, it can be the missing link in treating various diseases that have not responded to other forms of vitamins and natural medicine! It’s a win win! 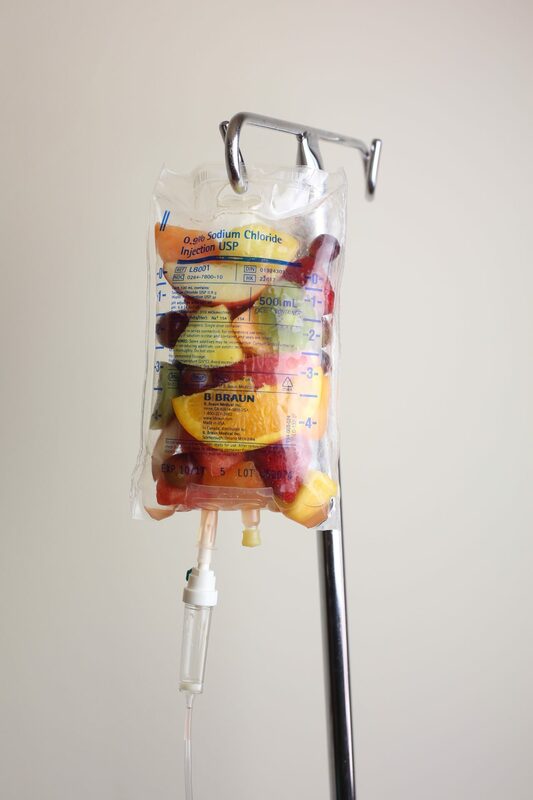 At Healthy By Nature, we provide comprehensive holistic medical care to patients in the Los Angeles, Santa Monica, Hollywood and West Hollywood area, including Intravenous Nutrient Therapy. For more information or to schedule an appointment with Dr. Kupperman visit our website at www.healthybynaturemedicine, or call the office at (310) 310-9717. Free 2 hour parking is available on side street North Alta Vista from 8am - 6 pm. There is also 1 hour metered parking on Beverly Blvd. We recommend parking on N. Alta Vista so meter monitoring is not necessary.